The Weibling Entrepreneurship Clinic has selected Ryan Kirshenbaum as the 2018 Koley Jessen Entrepreneurship Award recipient. Kirshenbaum graduated in May with the Class of 2018. During his time at Nebraska Law, Kirshenbaum was the secretary for the Nebraska Moot Court Board and a member of the Community Legal Education Project. 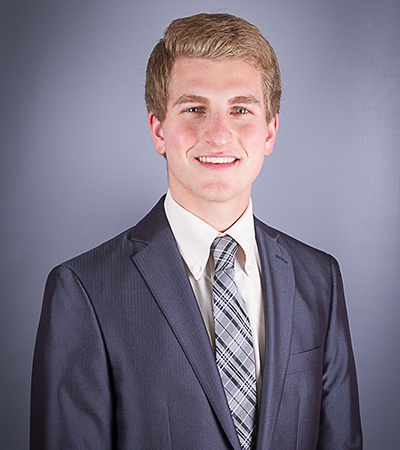 He spent the fall semester as a student attorney in the Weibling Entrepreneurship Clinic. The Koley Jessen Entrepreneurship Award was established to recognize Weibling Entrepreneurship Clinic students who have demonstrated exceptional legal skills, provided outstanding service to clients and furthered the mission of the Clinic. The firm was founded in 1988 with a vision of creating an environment that would foster trust and teamwork. Through the years, their guiding principles of integrity, client focus, and integrity have created the environment they envisioned years ago. Don Swanson, a partner in that firm, was instrumental in creating the endowed fund for this award.